We the People Project, a 501(c)(3) organization, advocates for equal rights and representation for the over 4 million Americans living in U.S. territories. 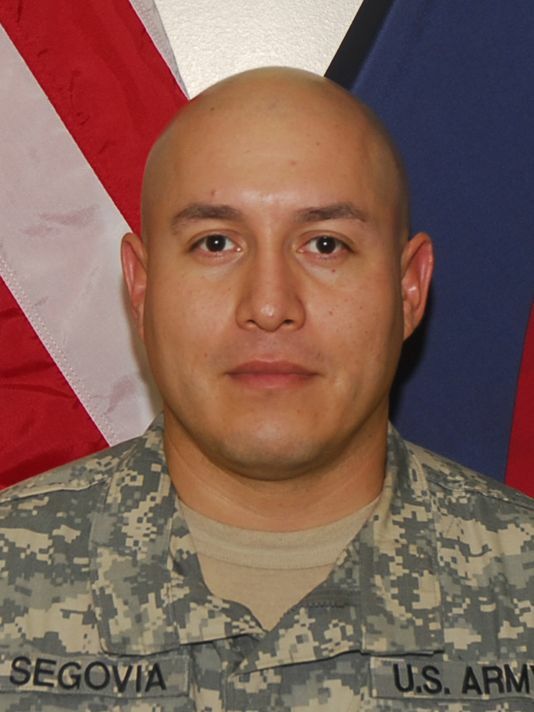 Luis Segovia has served honorably in the U.S. Armed Forces for more than a decade. Yet simply because he lives in Guam, Luis is not allowed to vote for President. If he instead lived in a foreign country or certain other U.S. territories, he would be able to. This isn't just wrong, it's unconstitutional. Luis is one of 4 million U.S. citizens - a population greater than nearly half the states - denied the right to vote for President simply because of where they live. In 2013, Luis was deployed to Afghanistan for the second time, a world away from his family in Guam. Just a few years earlier, he had moved to Guam from Chicago, married the woman of his dreams, and started a family. One thing he hadn’t expected was that a change in zip code would mean he would no longer would be able to vote for President. When Luis was deployed for 18 months to provide security for the 2005 Iraqi election, he could never have imagined being denied his own rights to basic democratic participation. While he's equal on the battle field, he's not equal at the ballot box, a spectator rather than a participant in the democracy he's proudly fought to defend. In 2015, Luis and five others living in Guam, Puerto Rico, and the U.S. Virgin Islands, along with the League of Women Voters of the Virgin Islands and the Iraq Afghanistan and Persian Gulf Veterans of the Pacific, filed Segovia v. Board of Election Commissioners in federal district court, arguing that the right to vote shouldn't depend on where you live. Luis and his fellow plaintiffs are now appealing to the Seventh Circuit Court of Appeals a District Court decision, which relied on the controversial Insular Cases to reach the unprecedented conclusion that the right to vote is not a "fundamental right" in U.S. territories. If our appeal is successful, the case will help expand voting rights in U.S. territories and highlight the importance of voting rights for all Americans, wherever they live. Your support will help We the People Project ensure Luis and his fellow plaintiffs are able to continue forward with the appeals process, and may even help the case reach the Supreme Court. We the People Project is a 501(c)(3) charitable organization, so all contributions are tax deductible to the full extent of the law. Learn more about our advocacy at www.EqualRightsNow.org. I have great hope in your efforts within the Federal Judicial System, bringing long-awaited attention to our disenfranchisement from US governance and to end 119 years of our effective colonialism. Today we made the case before the federal appeals court in Chicago that the right to vote should not be based on where you happen to live. We expect a decision sometime early next year, and will send another update then. Win or lose, it's possible the decision will be appealed to the Supreme Court. Everyone's support has made a tremendous difference. For more on how the argument went, see our update here, or this press account. Our Seventh Circuit appeal to expand voting rights in U.S. territories continues making progress. In April, we filed our opening brief before the Seventh Circuit. On Friday, the Federal and State Defendants filed their briefs. We'll be filing our final brief the end of this month, with oral argument to follow later this Summer or Fall. More case information, including briefs, available at http://www.equalrightsnow.org/segovia. Thank you everyone for your support! After a long wait, we finally received our scheduling order, with our opening brief to the Seventh Circuit due on April 12th. We&apos;ve extended our crowdfunding campaign through April 8th to help build support as we file our brief to expand voting rights in U.S. territories. Thank you for your support - please help spread the word on social media!